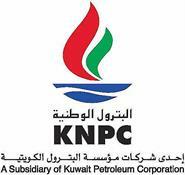 KUWAIT, May 17 (KUNA) -- Kuwait National Petroleum Company (KNPC) said on Thursday that fire broke out at a gasoline unit at Al-Ahmadi refinery. Bassem Al-Issa, the deputy chief executive officer and the company spokesman, said in a statement that rapid precautions were taken immediately when the fire flared up at 03:08 p.m. (local time). The company emergency plan was activated, calling in fire brigades, closing the unit, emptying it of gas and oil, in addition to evacuating nearby units. The incident caused no casualties and refining operations were proceeding as regular, Al-Issa added.